Have you ever seen nearly 40,000 tulips, hyacinth, and narcissus burst forth from the soil into fields of rich color in the spring? You can experience this amazing site at the Coastal Maine Botanical Gardens just minutes from our inn. 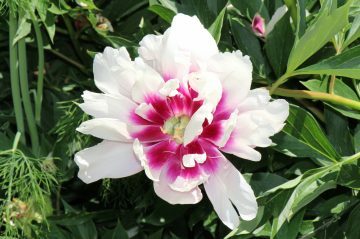 Visiting the gardens is the TripAdvisor #1 Thing to Do in Boothbay and an activity you don’t want to miss! When you visit, you can easily spend an afternoon enjoying the blooms, plus so much more. Visiting the Coastal Maine Botanical Gardens is just one great thing to do on a Boothbay Harbor, ME, vacation. Request a copy of our FREE Vacation Guide to the area for more information about dining, shopping, entertainment, and more! The Coastal Maine Botanical Gardens is located in Boothbay, which is a little over 3 miles from us at Topside Inn. It was founded by 7 individuals who saw a need to “protect, preserve, and enhance the botanical heritage and natural landscapes of coastal Maine for people of all ages through horticulture, education, and research.” It took years of planning to make the Coastal Maine Botanical Gardens come to life but since it opened in 2007, it has quickly become one of the most popular attractions here in Maine. The Coastal Maine Botanical Gardens started with 128 acres of land and now is up to 240 acres in size. After one trip to the Coastal Maine Botanical Gardens, it will be easy to see why they are so highly rated. The gardens are open May through October and offer an amazing place to spend the day. Gardeners have planted 38,000 flowering bulbs that begin to show in early May. This amazing springtime display is one you don’t want to miss! Of course, one of the most popular attractions is seeing the blooming flowers. But, before you go, it is a good idea to do some planning. First, you should check to see what is in bloom using the helpful What’s In Bloom? page of the website. The website also offers a neat tool called Florafind. This tool will show you what’s in bloom for a specific time period. The website also features a lovely garden map which will help you find your way all over the property. Besides strolling through the gardens, there are more things to see and to learn. Another interesting thing to see is the permanent sculptures collection at the gardens. Through generous donations, these great pieces of art can be seen throughout the gardens. If there is one, in particular, you want to see, the best way to locate is through Florafind. As mentioned before, one of the missions at the Coastal Maine Botanical Gardens is to help protect, preserve and enhance and the best way to do all of that is through education. There are wonderful educational programs for adults at the gardens. Their seminars can be anything from design to the seasons, as well as help in your own gardens. If you would like to see another side of the Coastal Maine Botanical Gardens, another option for you is to go to the gardens by boat. You’ll find boat tours, river cruises, and kayaking tours that are a great way to see the gardens in a new way. If you miss the amazing blooms on display in the spring, the winter holiday season is another excellent time to visit the gardens. Each year, Gardens Aglow at the Coastal Maine Botanical Gardens offers a dazzling display of festive lights. From mid-November through the end of December, you can take a magical walk through the gardens encompassed by innumerable glittering and twinkling lights. Explore the Gardens and Stay with Us! 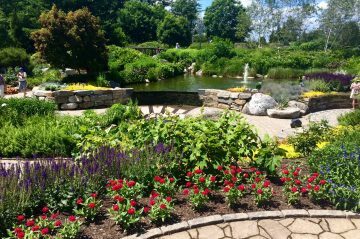 When you come to visit the gardens, consider staying with us at Topside Inn! When you do, you will enjoy the perks of being one of our guests. 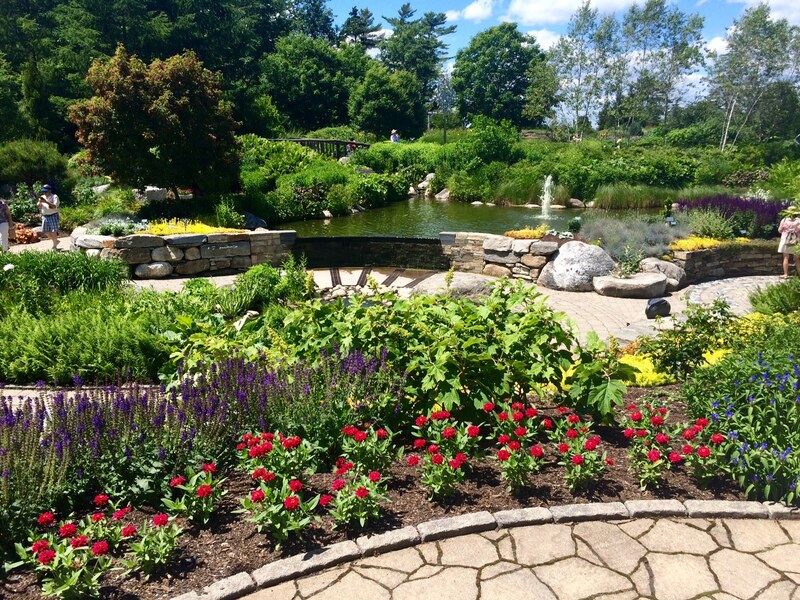 Every Topside Inn guest can receive tickets to spend a day at the gardens at a discounted cost! Our property has 3 separate buildings filled with luxurious guest rooms ready for you. Each room is decorated in a simple and classic Maine style that will allow you to relax instantly. Many of our rooms boast fantastic views of the water and each of them features all the modern amenities you’re looking for in a home away from home. Each morning with us, you’ll enjoy a delightful breakfast to get your day started right. Learn more about our inn today. Then, contact to start planning your next trip to Maine!